I swear that was my exact thought only to scroll down and see your reply. 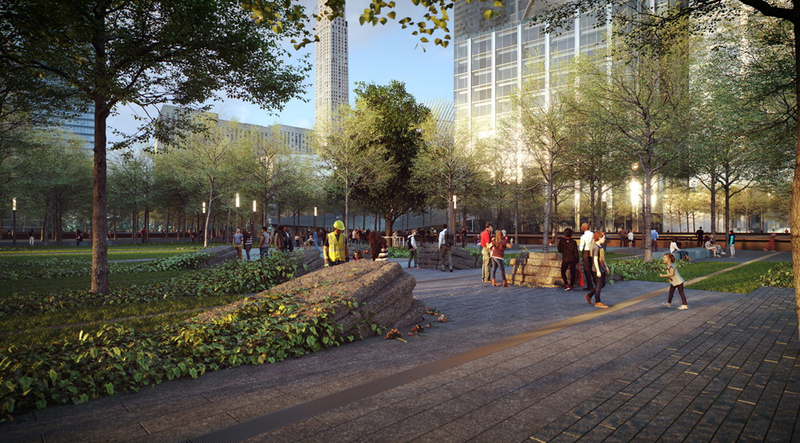 A new monument at the 9/11 Memorial in New York City will honor those affected by exposure to airborne toxins released by the attacks. I’m a little frustrated by this. 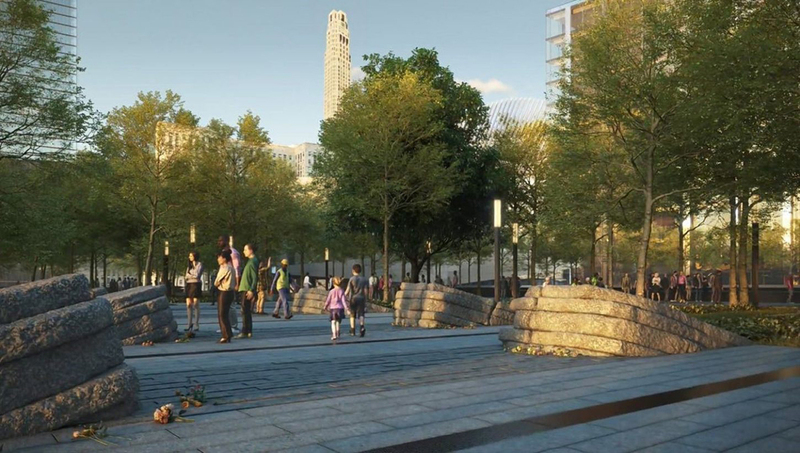 While this will be a beautiful tribute…the fact that the Memorial Leaders refused to bring the Sphere back to the main plaza…one of the most prominent survivors of 9/11 but they will build this? Pisses me off. Uh won’t tourists just climb all over these? Kinda confused on the concept. Oh yeah I totally agree Liberty Park is a fine spot for the sphere and it least it overlooks the memorial. That being said, they had every opportunity to bring it back to the original complex in someway and they failed miserably. I’m not sure how that was even a debate given the history of the piece. It looks awesome in that photo-shopped pic you posted. 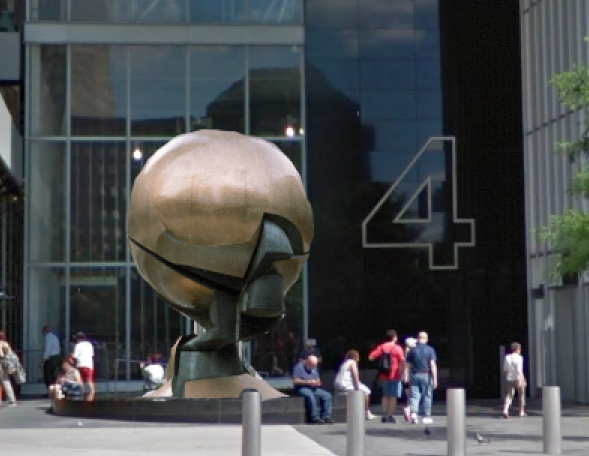 I would have loved it to be closest to its original spot by the museum pavilion, or even between 1 WTC and the PAC. Clients/tenants at the WTC Complex thus far. And that doesn’t even include all the small startups that took prebuilt spaces in 1 WTC! The Trade Center definitely made it’s comeback! Today marks 26 years since the first attack on the World Trade Center. I remember it clear as day. I remember thinking how stupid those terrorists were to think they could bring our mighty towers down. Sadly we were all proven wrong 8 years later…R.I.P to the 6 lost souls that day. Forever memorialized at the new WTC and in our hearts forever. Tuesday marks 26 years since the first attack on the World Trade Center. Yes I already know this… February 26,1993 bombing under level garage between I see only Marriot Hotel smoking that Ryder truck explode time 12:18pm noon and It 6 killed and 1,000 hurts. You know I really don’t understand why terrorist always attacks 1993 and 2001 too? I mean is because terrorist don’t like towers or more people what is it? I need example. So I feel much hurt depression in my mind because I hate don’t like destroyed this towers that terrorist did it already.